Late last night, I ran over to Harris Teeter to pick up the hamburger for this recipe as well as some disposable aluminum pans, since I don’t have enough regular pans to use. I had every intention of making the meatballs and throwing them in the freezer, but after getting the kids their baths, and into bed, it was too late to cook (and I needed to rest from our busy day!). 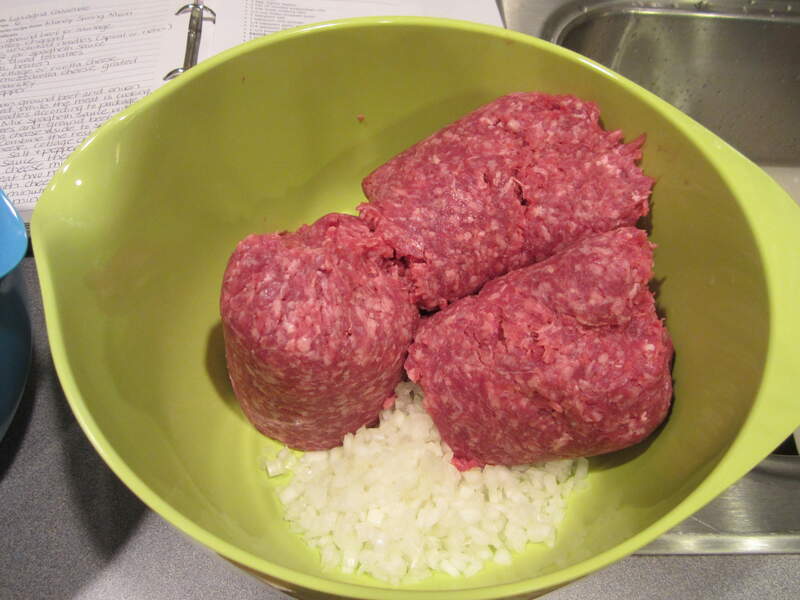 So tonight, while preparing the Lasagna Casserole, I cut up a few more onions and mixed them up with the meatball mixture while the casserole was baking. 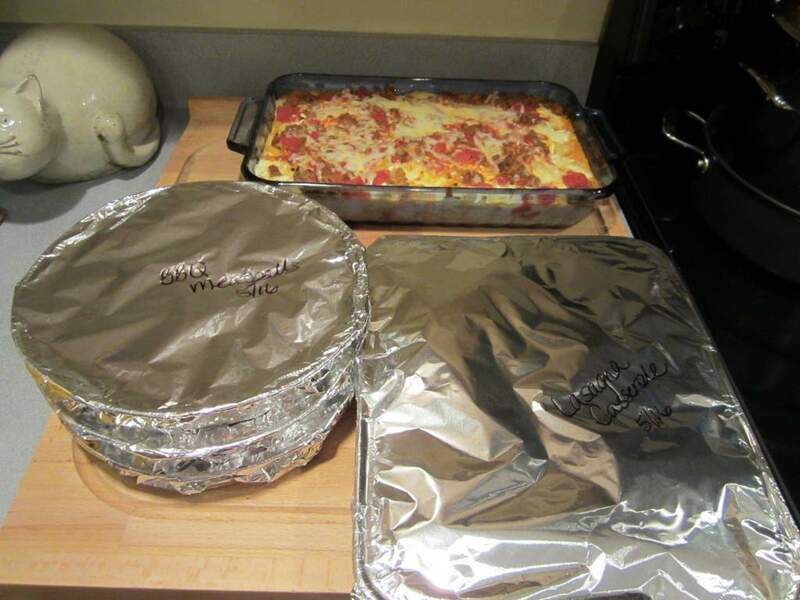 They were super simple to do, and I know my family will really love them. 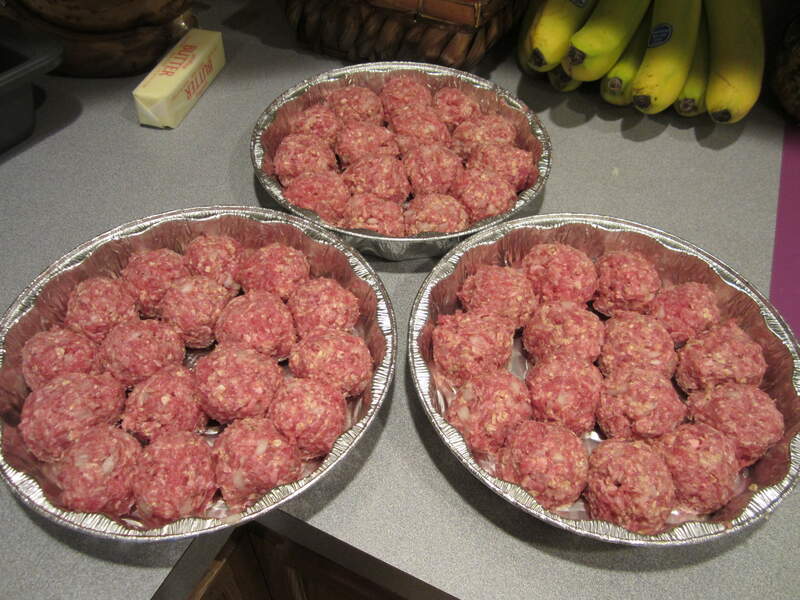 I would have cooked the meatballs too if I had made them in fact that is one of the reasons I did not make them. Looks like all your cooking went well. I am hoping to find a dairy free substitute for the cottage cheese and then I will give the lasagna casserole a try. I did get two whole chickens seasoned and in the freezer today.